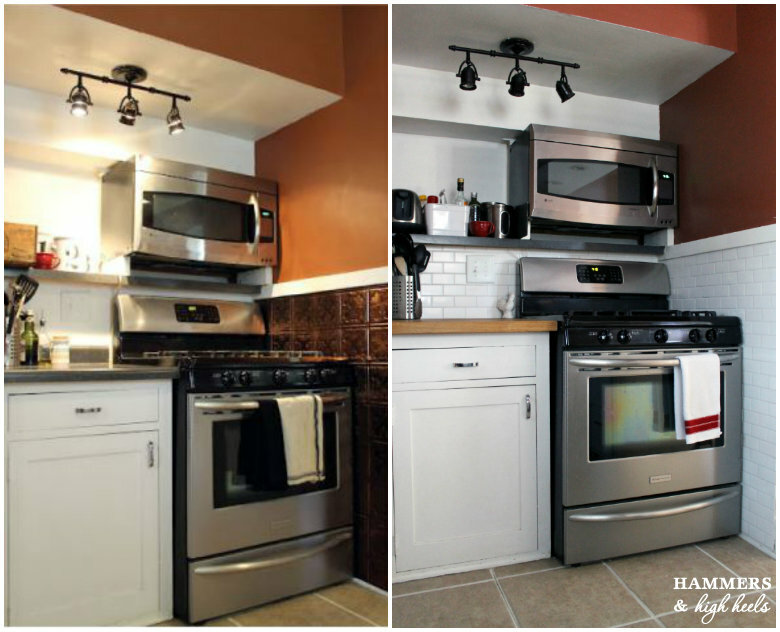 Our latest kitchen update is complete! 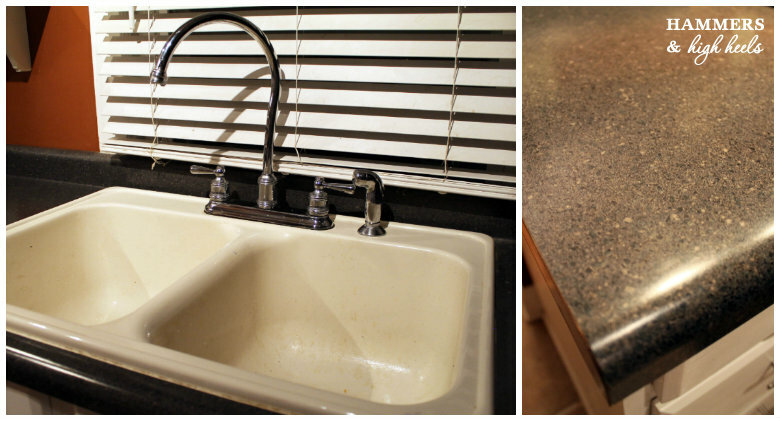 The new countertops, backsplash, sink and faucet are all up & running! ... and how things are looking now! I can't believe how far the space has come along, I'm so in love! 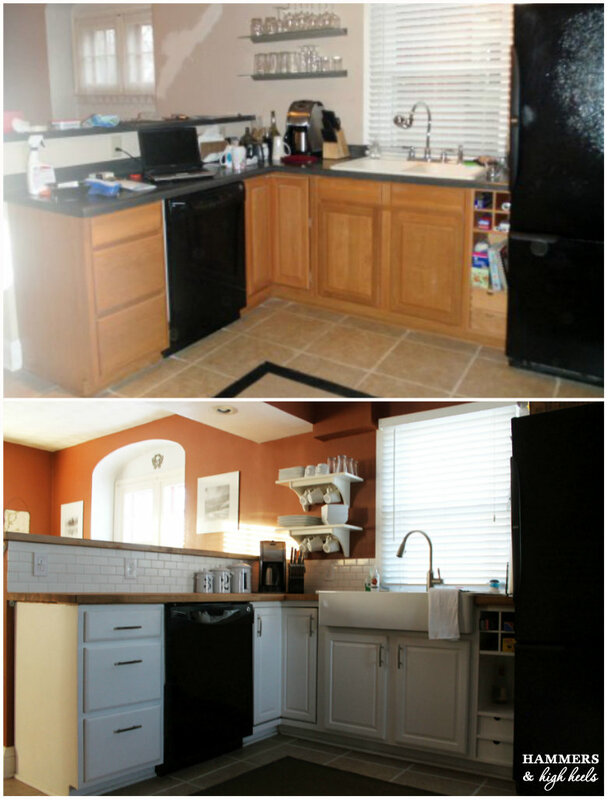 Our project started about a month ago when we realized we had to ditch the old sink and laminate countertops once and for all. 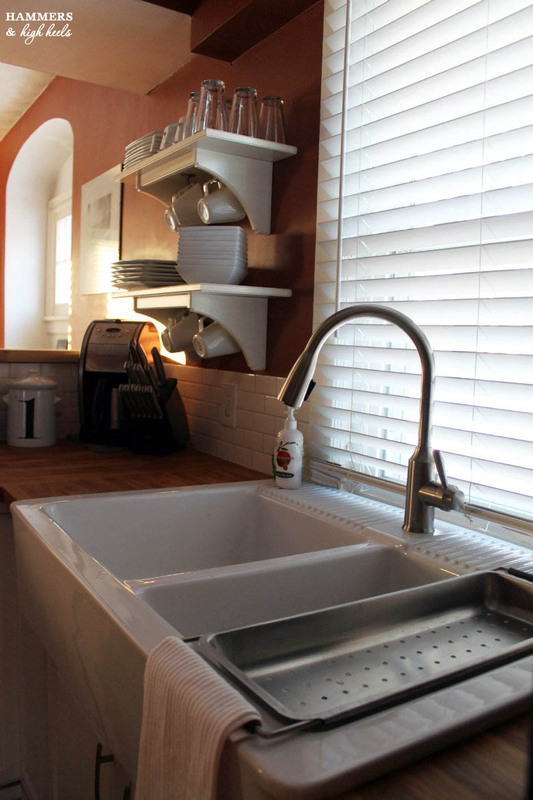 We had been dreaming of adding butcher block countertops and an apron sink since we bought the house. 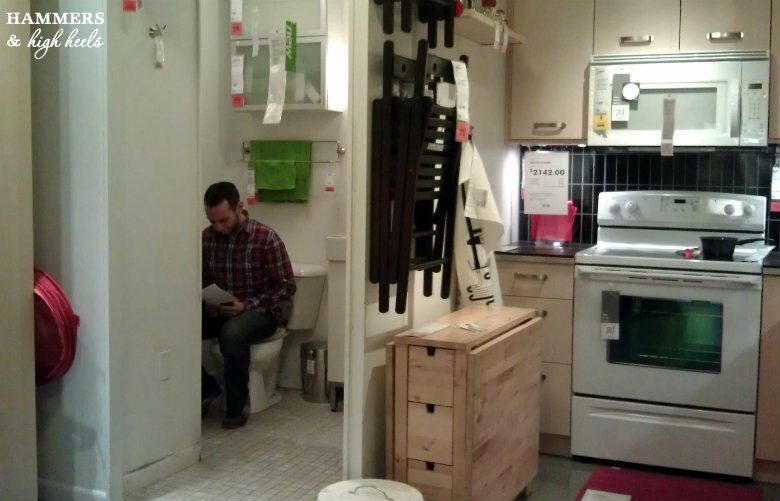 So we spent a wonderful evening gathering the Numerar countertops and Domsjo sink from Ikea. Then picked up our faucet and other project supplies from Home Depot. After we got everything home the fun began when Alex started tearing up the kitchen. 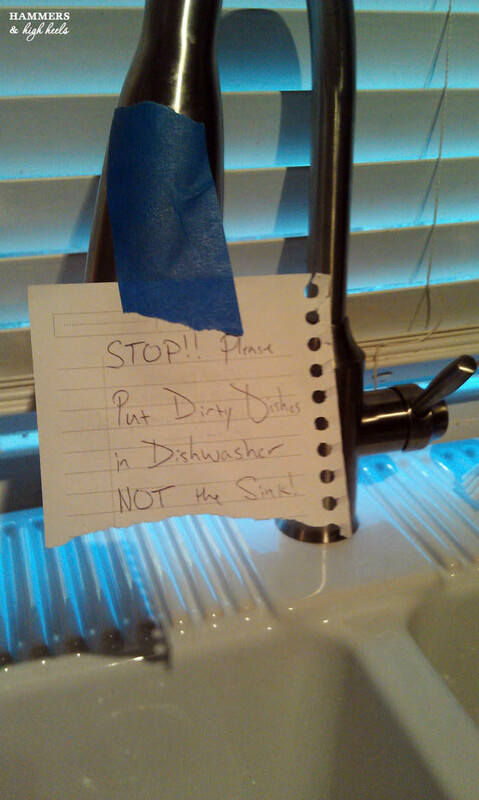 It was very exciting but it was rough being without a kitchen sink for four days. 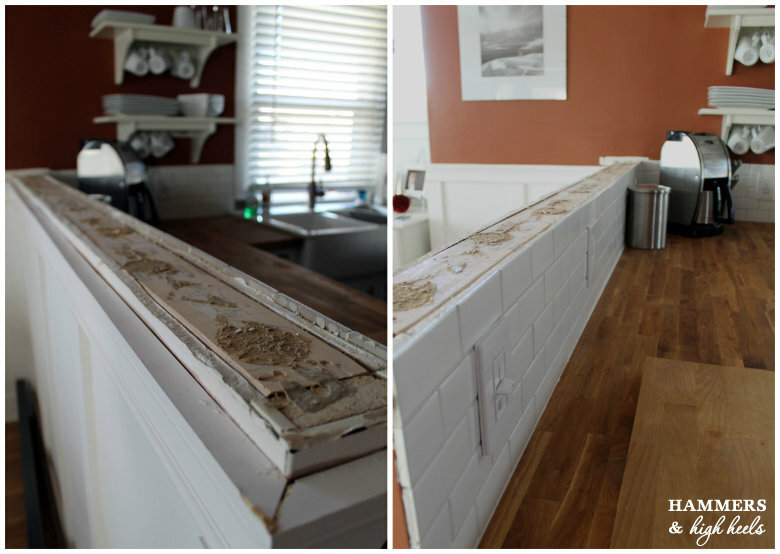 Alex had to use that time to cut and install the wood countertops. Once those were installed, Alex completed the "oiling & lotioning" step as we like to call it. 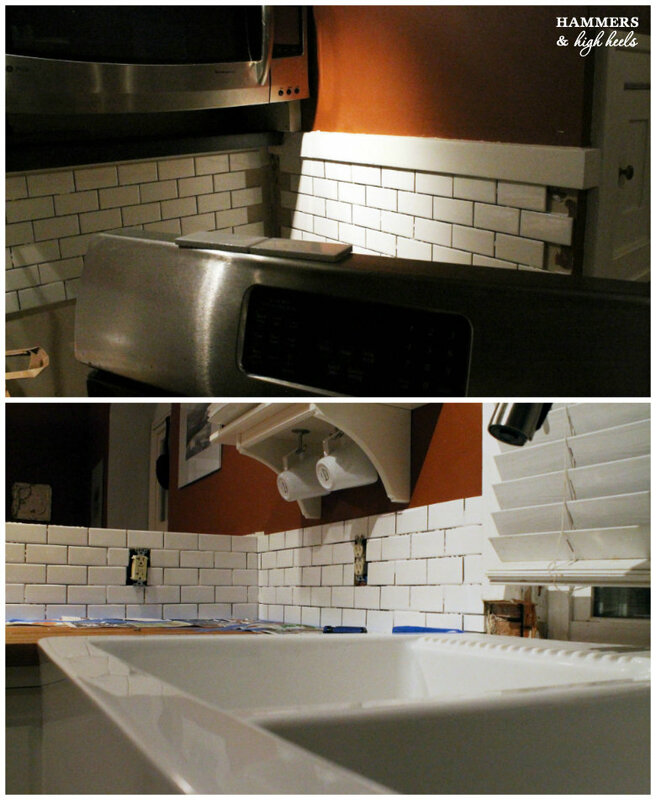 Then Alex got the sink and faucet running and installed all of that BEAUTIFUL white subway tile! Ugh! I'm so in love with the new tile! I didn't even know Alex was going to add it next to the oven (where we had the faux vintage plastic tiles before), it was such a nice surprise! The white tiles just look so crisp and clean! 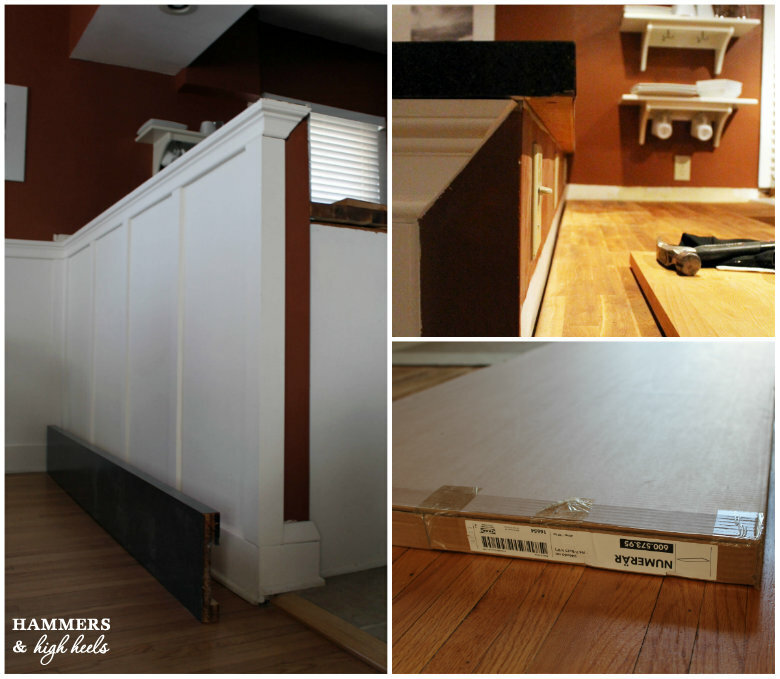 Finally, we wrapped up the project by adding the last slab of butcher block countertop to the dividing wall between our kitchen and dining room. 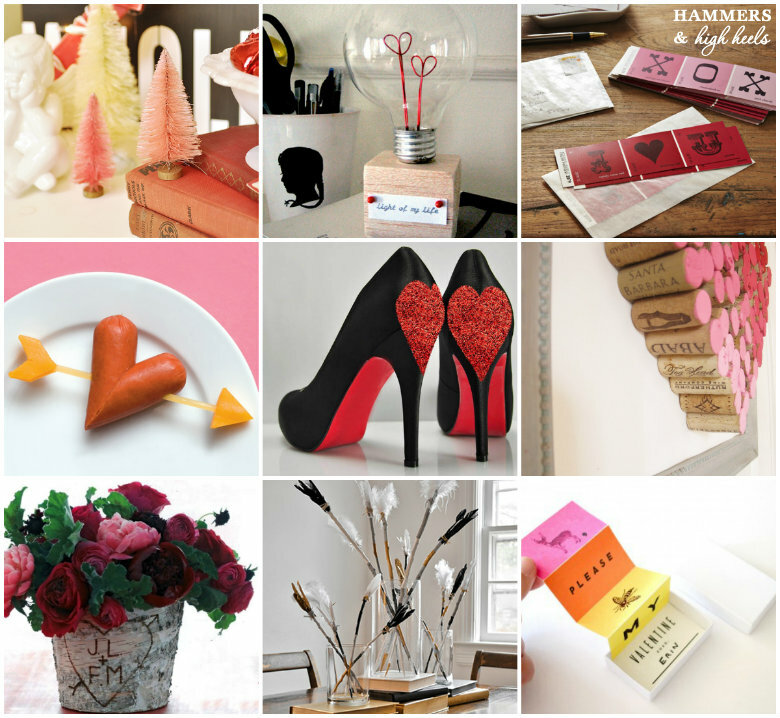 So here's how everything turned out! To quote Outkast it just looks "so fresh and clean" right?!?! Haha, just kidding but the song keeps coming to mind when I look at these pictures. 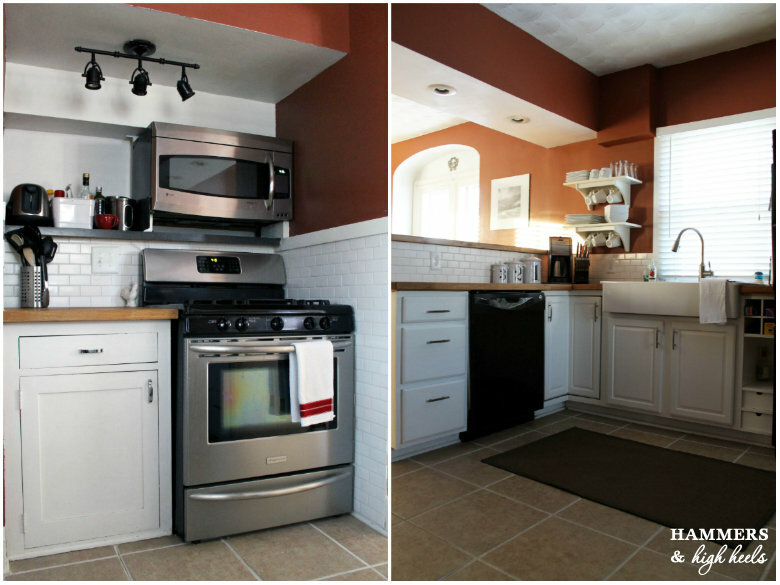 I'm so happy with how this DIY redo project turned out! 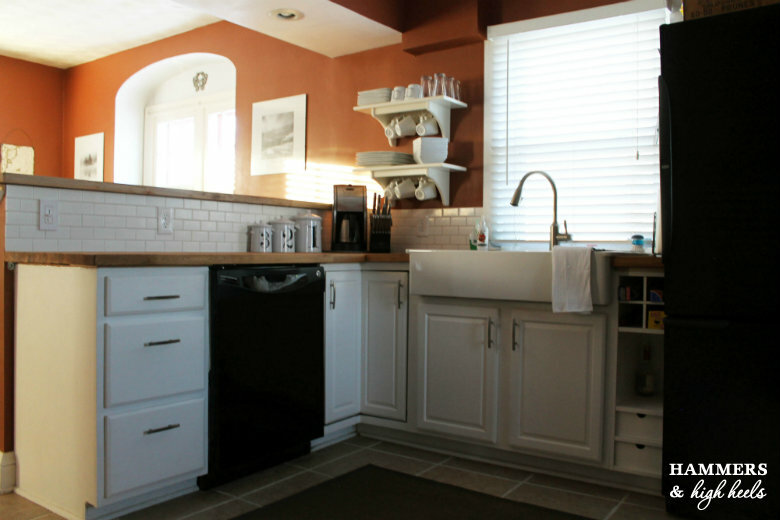 The kitchen countertops and sink were the last big things that we wanted to fix on the main floor of our house. The laminate always felt like it screamed "I need to be replaced" and now with the butcher block it just looks fresh and updated. I finally feel like our kitchen is a space we can be proud of! 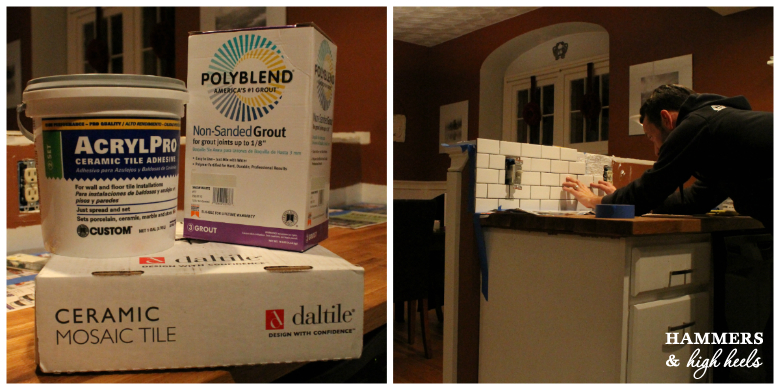 So, what do you think of the new look in our kitchen? What new decor elements should I add to compliment the new look? We finished up the India leg of our trip and arrived early on a Sunday morning in Hong Kong. Being a Sunday, we didn't have any meetings lined up for work (click here for my first trip post) and had to figure out what to do with our day.... Oh the possibilities!!! 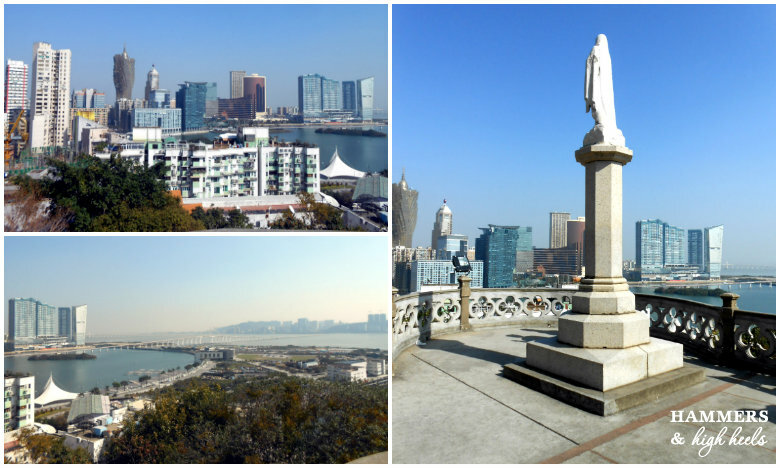 We read in a travel magazine on the flight over that Macau was only an hour ferry boat ride from Hong Kong and everyone quickly jumped on board with the day trip idea. After all, it was a whole new location to add onto our trip! 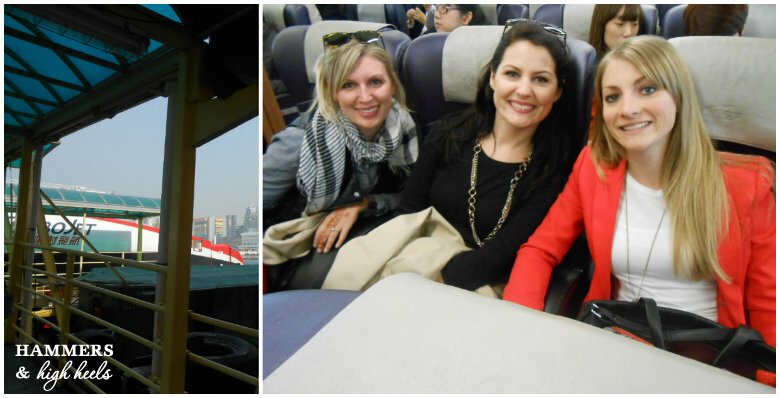 We left our hotel and bought round trip tickets on the Turbo Jet ferry to Macau. Since they sell tickets with assigned seating, we had to choose our return time when we left Hong Kong. I can't remember exactly but I think we left on the 11:30am and chose the return for 6:30pm (had to mention that part since it has a lot to do with the story). 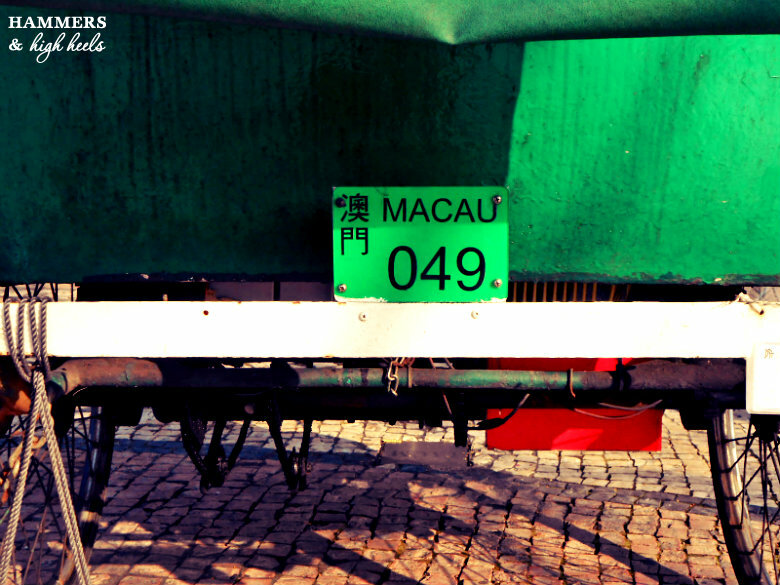 Once we got to Macau the excitement began! Well okay, no excitement right away. Instead, we had to hover around an island map for what seemed like an hour to figure out where to go/ what to see. Lesson learned- tis' best to have a plan or rough idea of attractions beforehand - BUT - we were taking a stab at being spontaneous!!!! 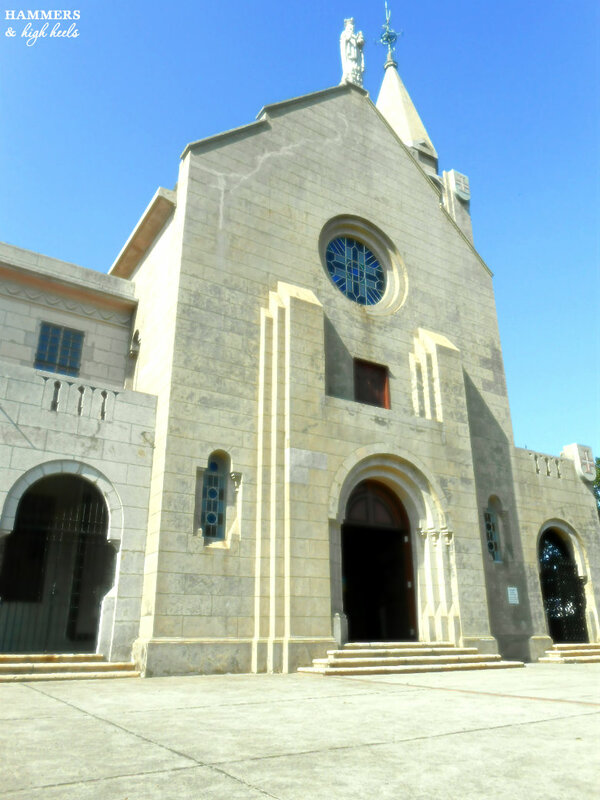 We decided to see Our Lady of Penha Chapel first. 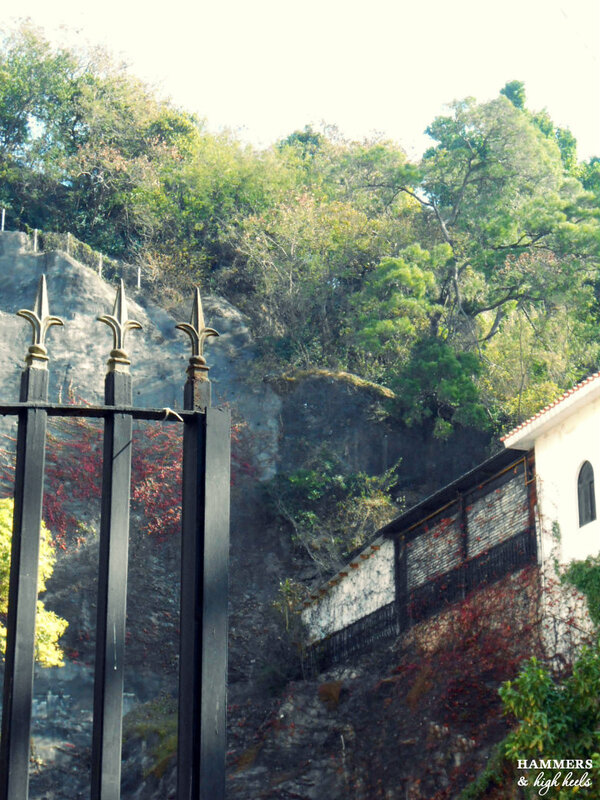 The Chapel sits on top a of hill with amazing views of the city. It was interesting looking out into the downtown area from the church. Sort of like looking out at the newer-modern world while standing back in an older world. 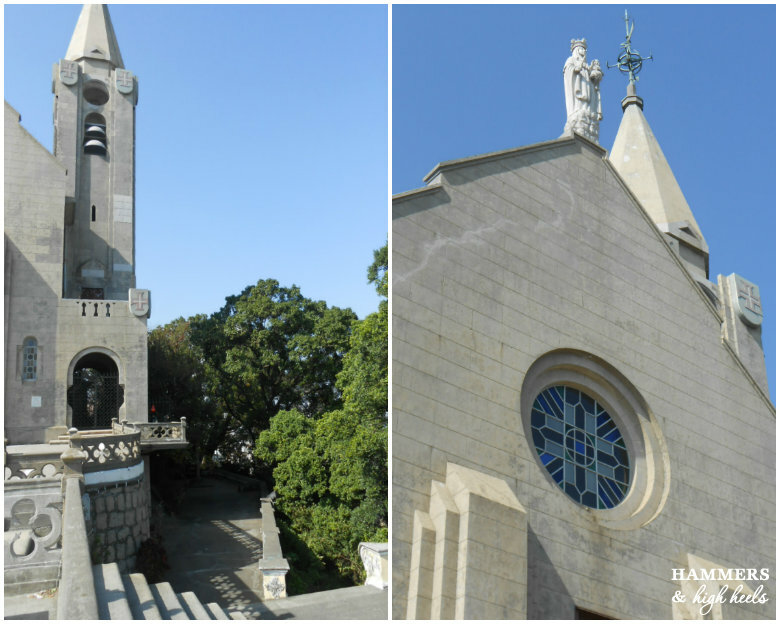 We took in a last look of the church and then headed back down the hill to our next stop, the A-Ma Temple (and a search for lunch). 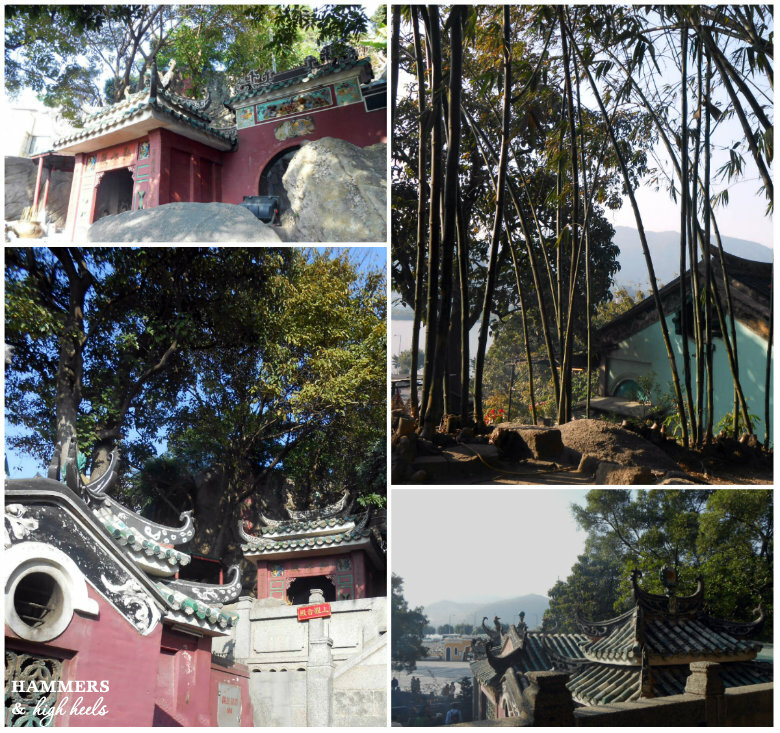 There were so many beautiful sites during our walk from the Chapel to the Temple. This mural had to be my favorite though, it had such a fun and colorful spirit! 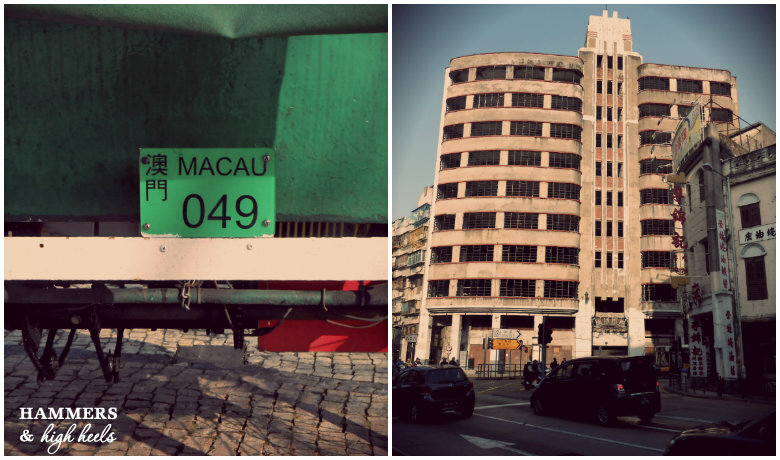 Have you noticed through the photos that there's a mix of Chinese and European cultures in Macau? ... And I think we found the BEST Portuguese restaurant to enjoy lunch at called O Porto Interior. I don't think I've ever had Portuguese food before but oh my goodness, it was soooooooo delicious! The Macau Blonde Ale only made our lunch more amazing! 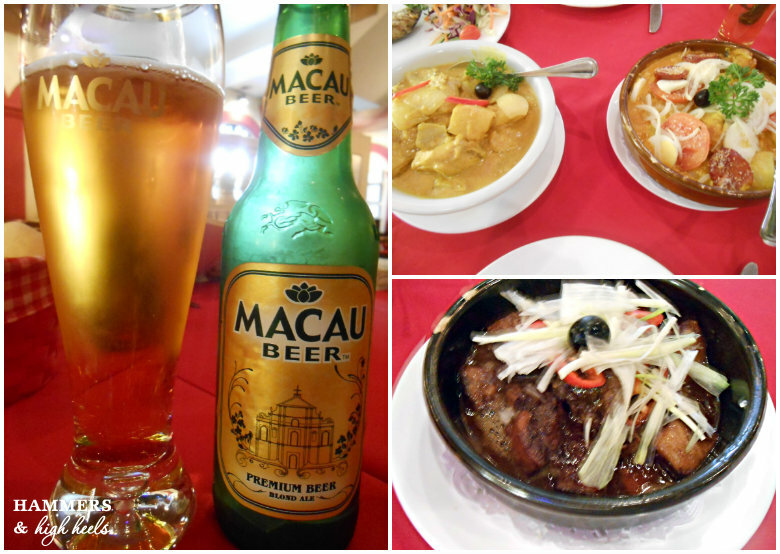 Who knew Macau's beer would be a Blonde Ale? 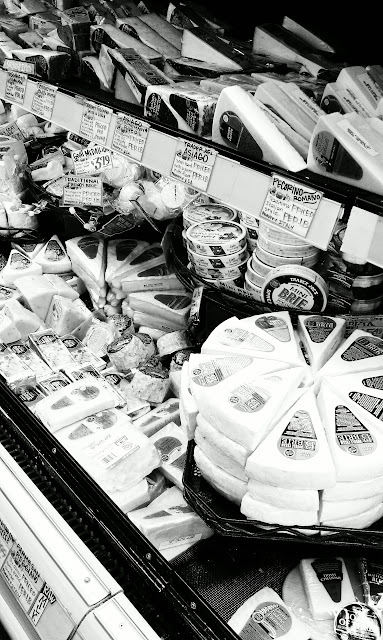 I wonder if I could find that anywhere in the US, hmmmm? 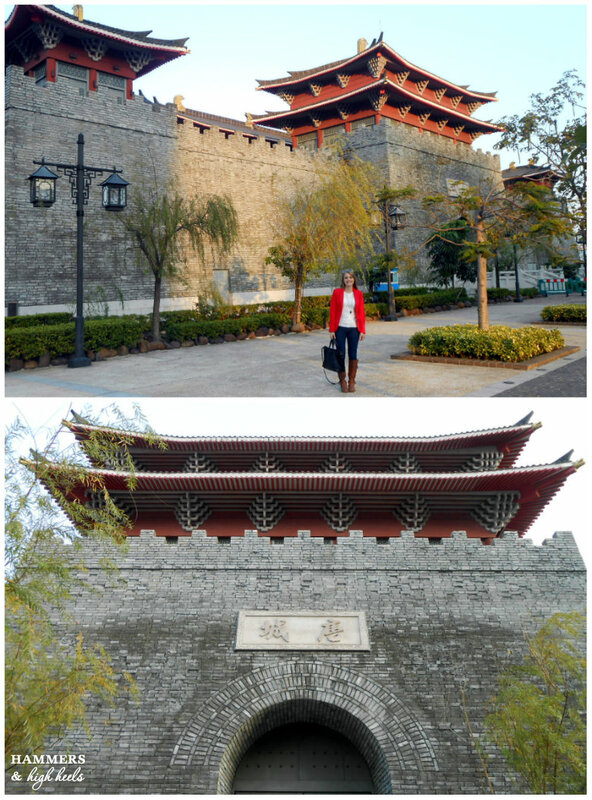 After our tummies were full and happy, we headed over to the A-Ma Temple. 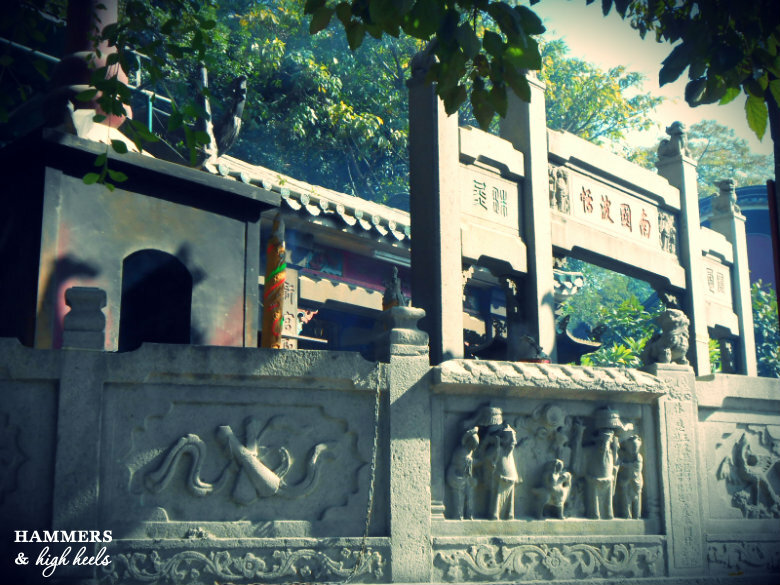 The A-Ma Temple ﻿is the oldest temple in Macau built in 1488. The entrance is a large boulder with ancient engravings. 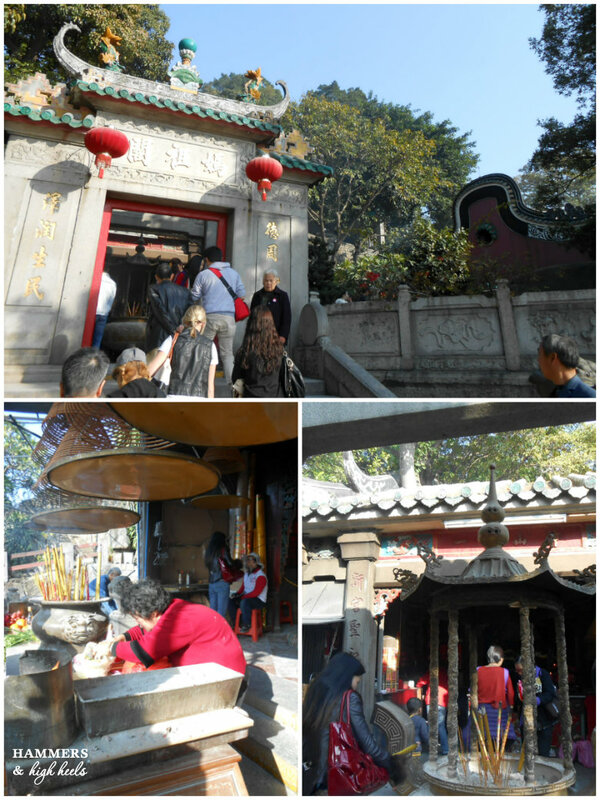 The smell of incense filled the air as there was plenty burning in front of the main shrine dedicated to Kun Lam. 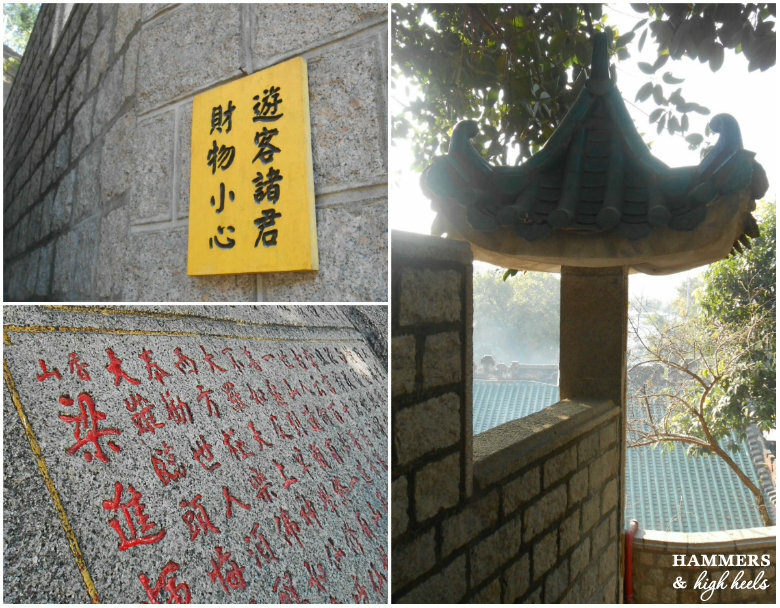 It was incredibly beautiful walking up to the top of the temple. 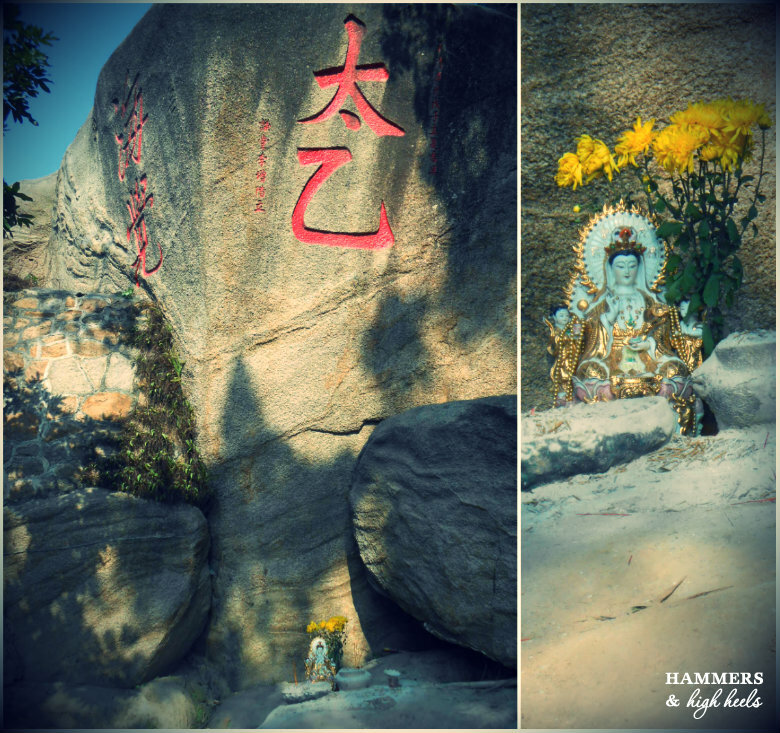 Nearby boulders on the walk up had red Chinese characters evoking gods or to make prayers. The peak of the Temple was very peaceful. For being a tourist attraction I was surprised by the calm feeling I felt standing there. 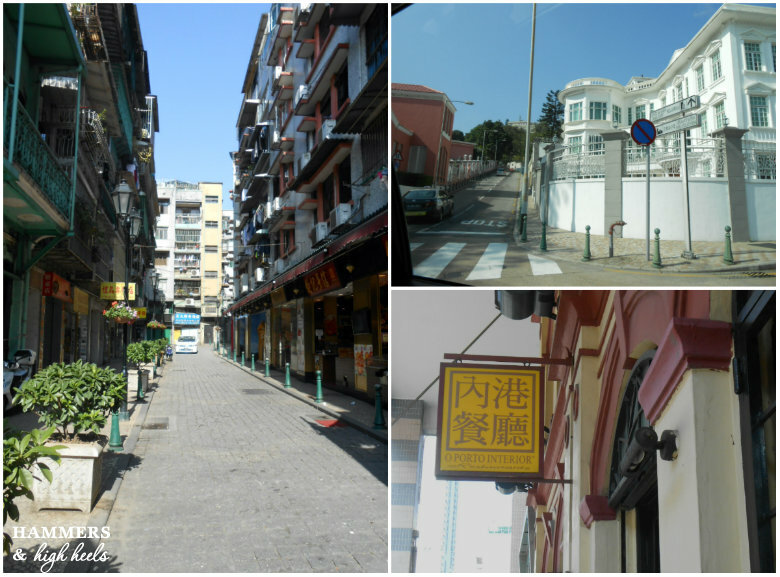 When we finished our visit at the Temple, we planned to head to the old city center of Macau... and that's where our day trip turned a bit sour. We were able to hail two tuk-tuks/trishaws (basically a pedi-cab in the US) to take us but thought they wanted to charge us $20 US for each ride. We thought that was crazy expensive and told them we would get a cab instead. Well, that was a BIG MISTAKE. We ended up walking along the busiest street by the Temple trying to hail a cab for over a half hour until we ended up by that busted scary looking building above. We didn't know exactly where we were and weren't sure if we could find the old city center, or heck- even make it back to the Ferry Terminal in time to catch our Turbo Jet. It was a bummer, we only got to see two tourist sites and had to give up (wa-wa). ﻿ Feeling desperate, we ended up hopping on a random hotel's shuttle bus that had a sign on it that said "Ferry Terminal". We just hoped that we would end up back in time to catch our boat. 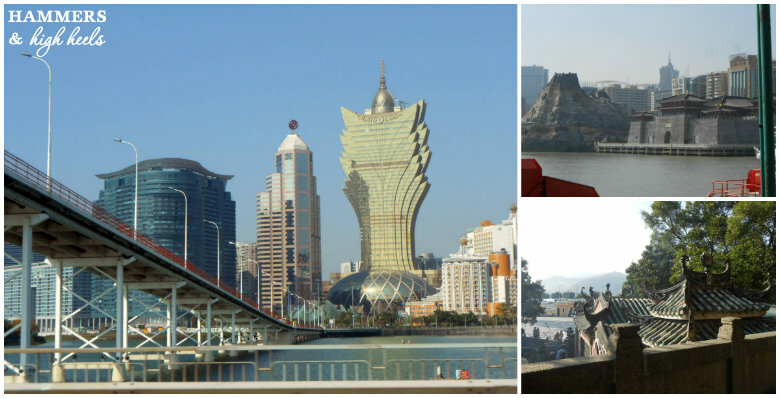 So my visit to Macau wasn't the greatest, but I intend to have a do-over in the (hopefully) near future. 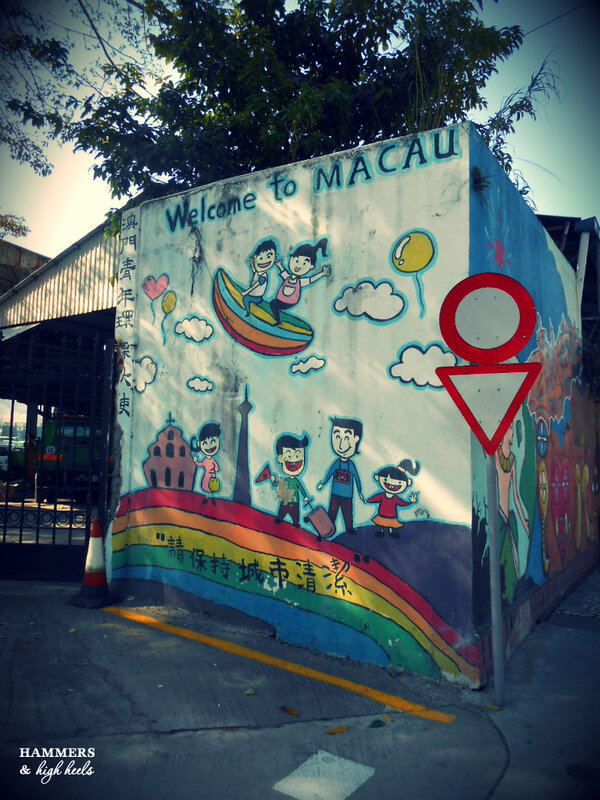 We will meet again Macau!!!! I'll have one last trip post from China/Hong Kong, then the kitchen 'after's! 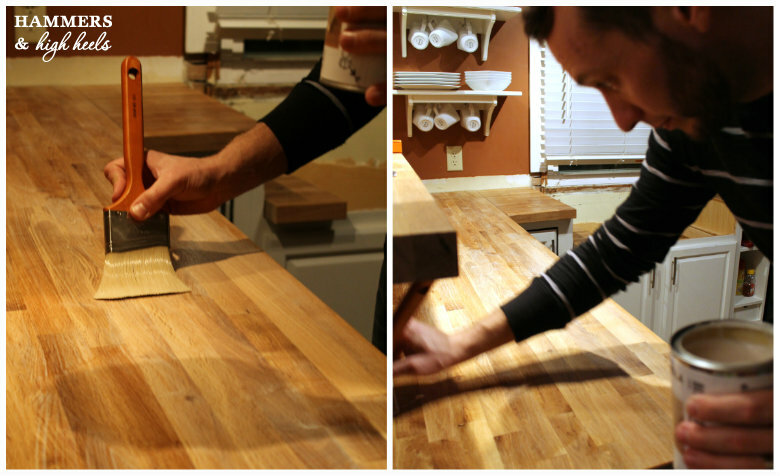 Alex is adding the last pieces of trim to the counter tonight!!!! First highlight, the India Gate!!! 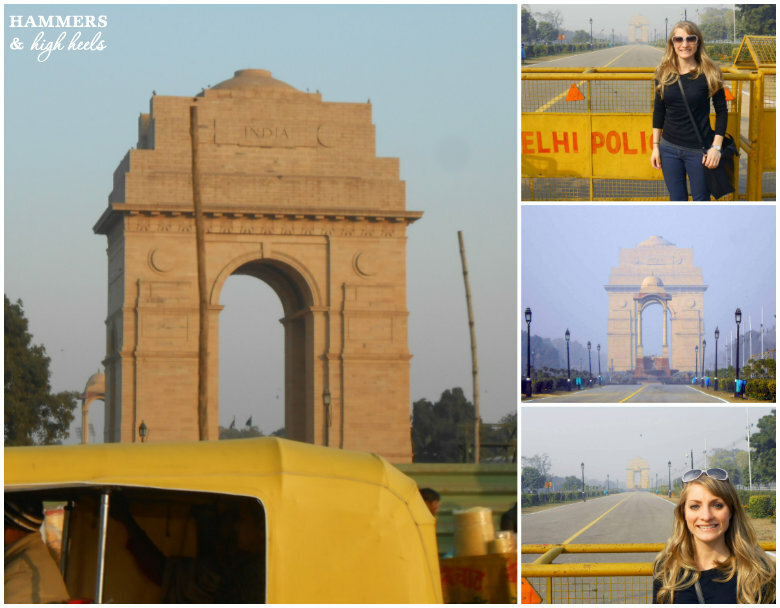 On my last trip to Delhi, I was so bummed that I didn't get a photo by the India Gate or really, a clear photo in general of it. This time we were able to stop and snap a couple photos but sadly it was from a far distance since the Indian Army was practicing for the Republic Day ceremony. We thought we had to just stay behind that "Delhi Police" gate but ended up getting in trouble for being there in general. The police shooed us back into our taxi. At least I got my photo though!!!! We didn't have time to see much else as far as tourist-y architecture but I loved these sites from our van. 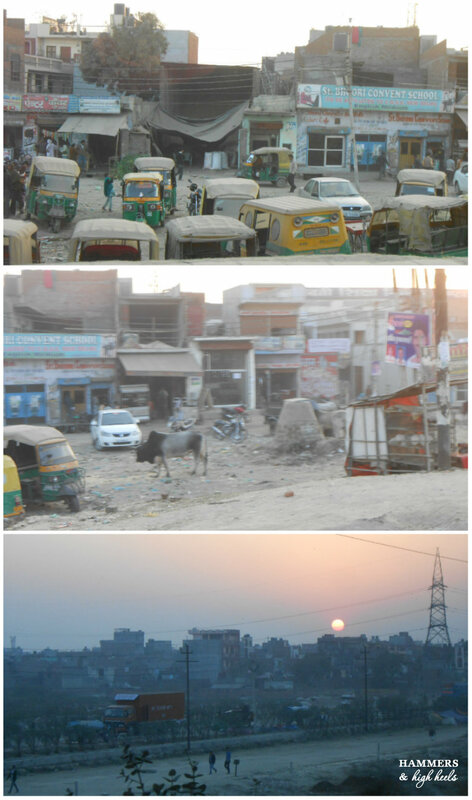 For the most part it's pretty dang boring but also pretty eye-opening to get a feel of life for lots of the people in India. They don't really have a middle class, there's a class of extremely wealthy or extremely poor. Sidenote: did you catch the guy staring at me around the 15 second mark? That happened a lot when we sat in traffic, it was strange! I think it takes an hour to go 10 miles in India sometimes. 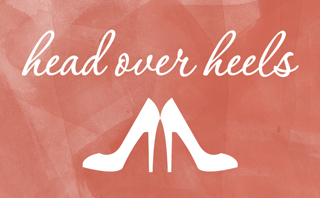 It is kind of maddening, those moments of our trips are when I think, "I never want to do this again, ever." ﻿We also decided to get Henna done before we left. I think Henna is a fun experience and also a sort of souvenir that stays with you for a week or two. Instead of both sides of my hand (last time), I only did the outside this time since it takes 2-3 hours to dry and set in. Now, as far as food goes I admit that Indian food in general isn't my favorite but I did discover two new favorites- Paneer and Gulab Jamun! Gulab Jamun is almost like a warm donut with syrup but it is curdled milk solids kneaded into dough. I know that sounds weird but it is pretty yummy stuff! Paneer is also made of curdled milk or soft cheese, I know it looks weird/goo-like and sounds kind of weird but again surprisingly delicious! From what I found online (which may or may not be accurate), it was a Lohri celebration which is common in Northern India. 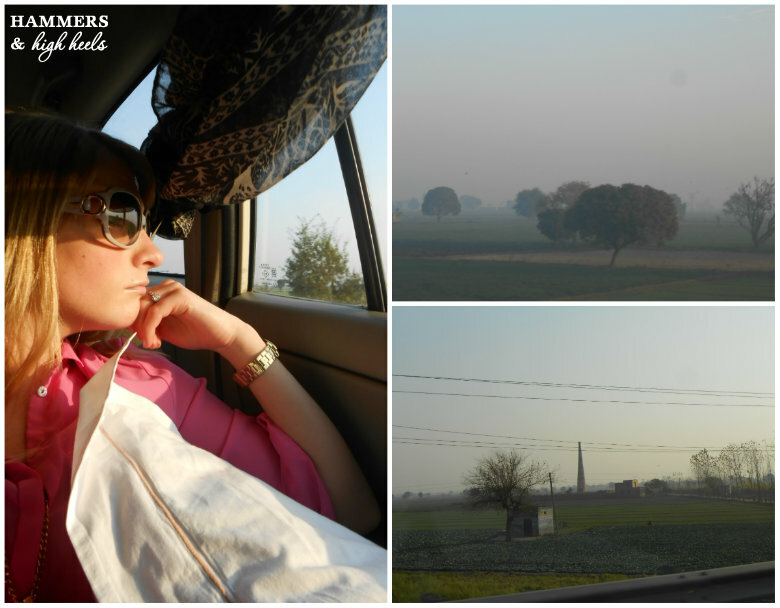 Lohri signifies the harvesting of the Rabi crops and marks the end of winter. I took a couple videos to share the feel of the celebration, it was pretty neat! The typical celebration includes music, dancing, traditional foods, and throwing puffed rice or popcorn in the fire. I found that after popcorn or other foods are thrown in, one traditional/custom is to say "Aadar aye dilather jaye" (may honor come and poverty vanish!) which is a prayer to Agni, the fire god, to bless the land with abundance and prosperity. I have to say that celebration made for a perfect way to end our stay in India! Hope you enjoyed that little glimpse! 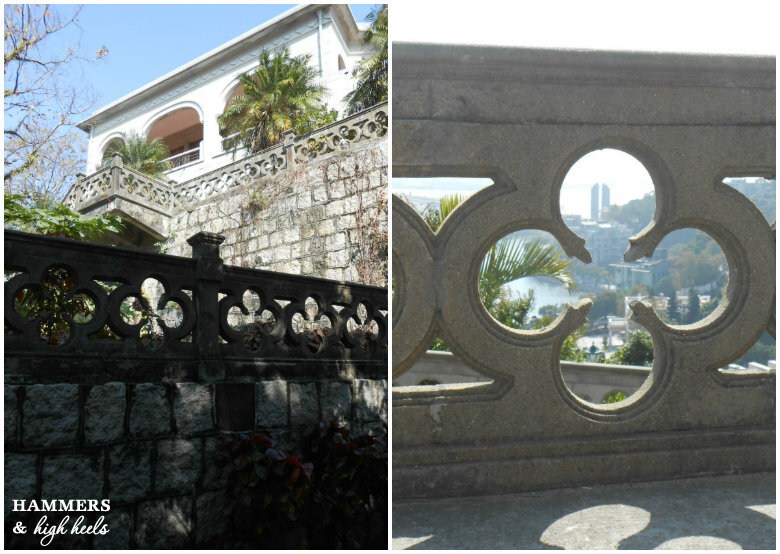 I'll be back tomorrow for DIY Friday then I'll share some of Hong Kong, China and Macau! Somewhere soon we'll have the kitchen done too (hopefully)! Hope you'll swing back for all that fun stuff, good night for now! 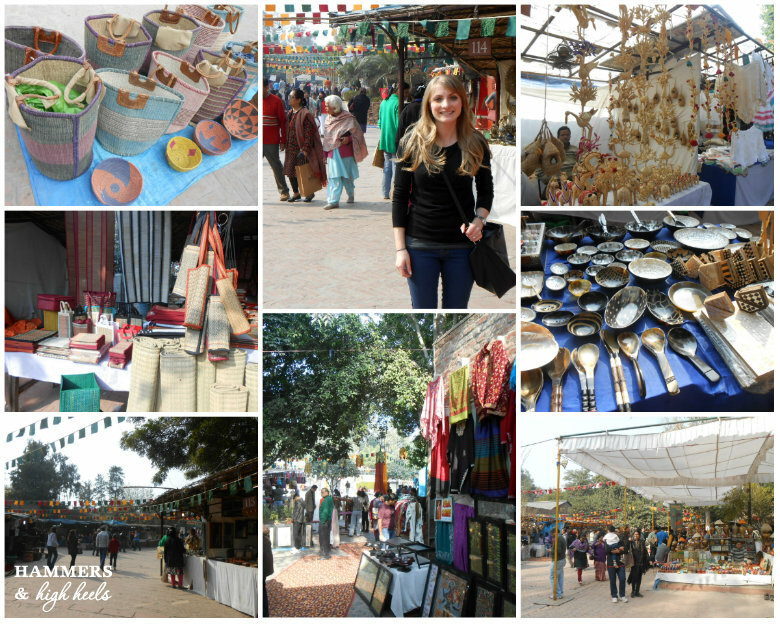 I am finally back from my trip to India, Hong Kong, and China (not to mention a day trip to Macau!). 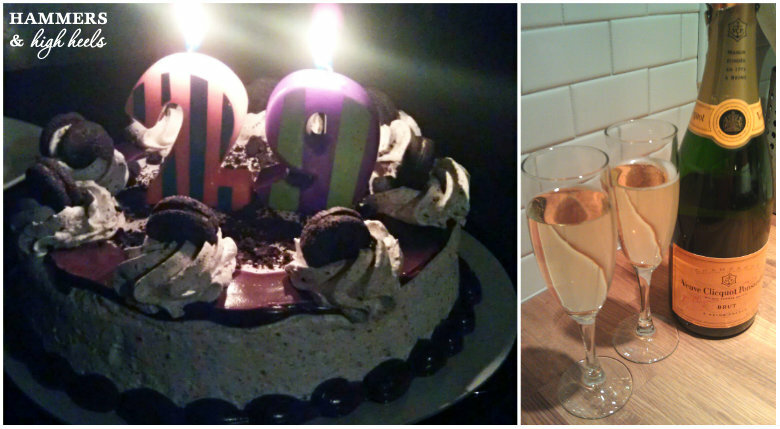 The trip was timed perfectly so that I arrived home on Alex's 29th birthday to help him celebrate! Alex made some major headway on the kitchen project during the time I was gone (you can see a bit of the finished subway tile in the above photo), but we have another slab of butcher block we need to purchase and install before I can take after photos. I know that part stinks (wa-wa $), but I am just happy to have most of the kitchen in working order... including my beautiful new apron sink and faucet! Anyway, we might be a week or so away from finishing the kitchen before I can get after photos, so this week I plan to share some of my trip photos with you! Heck, you can't go around the world and not share some of the journey right? I'll be working on gathering up those photos as I get back into my routine! Hope you will enjoy a glimpse of my trip with me! Until then keep your fingers crossed for me, I hope to keep out of trouble with the kitchen commando! Ha!